Not all self-published work is crap. Not all mainstream books are good. Many self-published works are excellent. Many mainstream books are dire. All true. But the demarcation between the two is blurring. A reader doesn’t give a toss who produced a book they love. The things they do notice are rubbishy covers, unintelligible blurb, coarse, porous paper, bleeding (in the technical sense) fonts, crammed text – and those are just the production values. Inside, a reader wants a story with great characters and a satisfying, if possible, stunning resolution. They don’t want flowery over-writing, rubbish spelling and grammar, weak plotting, unbelievable twists, gaping plot holes, characters’ names changing mid-book, solutions parachuted in, inaccurate historical detail, etc. I read a lot, and across many genres, and nothing out of the above two lists is missing from either type of publishing. But beautiful books, well-written, well-edited, exist along the whole publishing spectrum. It is no longer tenable to say self-publishing bad, mainstream good. The idea STILL persists that self-publishers don’t use copy editors, proofreaders, cover designers and other professionals. Um, they do. At the recent London Book Fair, services for the independent authors were prominent and varied. As in mainstream, there is self-published rubbish out there – the write-it-in-a-month-and-bung-it-up-on-Amazon stuff. But something that is often not recognised is that self (sometimes known as indie) publishing has evolved from its homogeneous start and split into a variety of levels. At the top end are the well-written, well-edited, well-designed books with professional covers, sometimes produced by the author themselves, a group/collective they belong to or with bought-in services of all types. Their genres are often crossover, something that the mainstream publishing sector may not wish to take a risk on in difficult economic times. But these books are not to be dismissed and they sell in their thousands and thousands. Like mainstream, there are self-published authors whose books may only sell a few hundred, but who receive good reviews. While not bestseller books, they should not be dismissed, either. And I hear that traditional publishers and agents are combing the self-published lists themselves looking for likely talent to add to their lists. Two of my self-published writing friends have signed with top agents within the past few weeks. Readers are a canny lot. They’ll ferret out the poor product, and consumer market forces will do its Darwinian thing. But whatever the diversity of the paths to publication, the results are all descended from the concept of the writer getting their story out there in an intelligible format to a receptive and willing reader. Hear Hear Alison! I am indie published in the UK & traditionally mainstream in the US & I hate to say this, but my Indie books are of a far better quality production-wise than the mainstream ones (which include some embarrassing production errors – and sadly there’s nothing I can do about it). It is up to us Indie writers to ensure that our books are as good as possible and one way to do this is by ensuring good editing, good cover design and good production. I would also advise take your time to publish. A mistake I have now learnt. I somewhat rushed my latest book, which resulted in a few missed gaffes in the text (nothing major, but that’s not the point). If something is worth doing, it is worth doing well! And that’s exactly what we must do, Helen! Absolutely right – I agree with both you, Alison, and Helen! 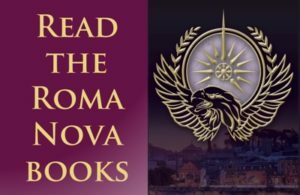 Now here’s a thought – is one of the problems that we’re now facing that so many independently published novels – like yours – are just so top-notch that they are not readily identifiable as self-published. It’s the really awful ones that scream “I did it myself in an afternoon on Amazon”, the clearly home-made ones, that cause all the trouble! Like mainstream publishing, there are the fabulously good and the cringeworthily awful. SP is splitting into different levels of quality and the top levels just stand out by their quality. It’s good to see these views being put forward. It needs to be said again and again because there are still people who don’t accept that self-published work can be of high quality – one example appeared in the Guardian recently. Such a shame that people aren’t keeping up with what’s going on now, Derek. Like all of life, things change quickly. Some of these recent articles reflect rather out of date realities. Very well said! And an excellent counterblast to the recent spate of ‘all self published books are crap’ pieces. There’s another reason why people like me elect to self publish and that’s age. No matter how well published and reviewed, you hit an age where – unless you’re already a bestselling author – traditional publishers simply don’t want to know. The relief of being able to get both back list and new titles out there is immense. Difficult to prove I would think, but there is an Age Discrimination Act now? B&Q only seem to employ people that are 65+ why not publishers? Excellent article, very timely and perceptive as well. In fact, I know a NYT bestselling author who has recently decided to go independent herself. This decision comes after many years and many books on the NYT bestseller list. 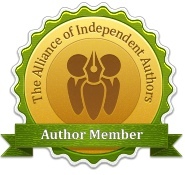 As a new author, I have decided to be independent. Yes, it’s much more difficult. But as an independent author, I have freedom with my work that a traditionally published author does not have. I read a lot and I don’t care if the book how the book was published, if I want to read the story, I will read it. I have noticed typos and problems in traditionally published work and I have seen some awful problems in independently publish work. But I’ve also found some very professionally independently published books. The lines between independent and traditional are definitely blurring. Agree, lalouziane. It’s always the story that counts. And a story that’s well written in a book that’s well produced. Thank you for the article. It is nice to read something that does not state all self published/indie books have been rejected by publishers. They make it sound like a punishment, not a business decision. A book never submitted is not a book rejected. Writers find different routes to publication – it’s always a choice. Some have been rejected, some elect to go SP first. We are *so* fortunate to live in changing times. And rejection is sometimes a cathartic process. I kept revising my first book in light of those comments. In the end, I made a decision not to pursue the mainstream, but only after I had had several full ms requests and had it scrutinised by my mentor and an independent editor. Book 2, PERFIDITAS is going straight to SP! Great post, Alison; I completely agree with your words, and those in the comments. 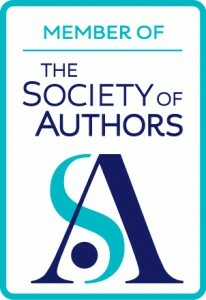 It particularly upsets me to read the ‘all self published books are rubbish’ message from other authors; we of all people should understand the way the industry is moving – and also support each other. Agree, Elizabeth. Badmouthing is not helpful. It’s perfectly okay to be peeved about something somebody said – that’s everybody’s right and that’s what motivated me to write this post. However, broadbrush by category or stereotype is really a bit much, especially when it’s not founded on relevant and up to date information. An excellent example of creating an equal platform, Helen! And this line of thinking also ignores mid-list authors. These men and women have talent and persistence but write for small market segments. The economics of traditional publishing makes it very hard for either publisher or author to profit from a pool of only 10,000 to 30,000 readers, no matter how devoted. Amazon, on the other hand, allows Indie authors to keep up to 70% of their e-book royalties, compared to the 15-20% royalties that conventional book publishers offer authors on printed books – and mainstream publishing royalties are much worse for ebooks. Publishing independently can allow mid-list authors to make a reasonable living on writing. I’d really like to find out how many books were self-published in that same time-frame, and how many of them went on to be published by mainstream publishers: but it’s proved impossible to find anything verifiable and hype-free (if anyone knows where I can get such statistics for free, I’d love to have them). Because if we had those figures we’d be able to see just how likely it is for books to cross over from self-publishing to mainstream, and possibly how fast this trend is increasing.